Bristol Wood Floor Sanding Company N&S Flooring, The region’s most skilled and trusted wood flooring contractors with experience in wood floor sanding, wooden flooring restoration and maintenance of solid wooden, parquet floors, engineered wood, and timber floors throughout the Bristol, Bath, The South West and the rest of the UK. N&S Flooring Bristol are recognized as one of the most established Bristol Wood Floor Sanding companies, Sanding and refurbishing wood floors to the highest standards since 1967. Our floor sanding experience ranges from domestic wood flooring restoration works to historic restoration and repair works in schools, universities and colleges. 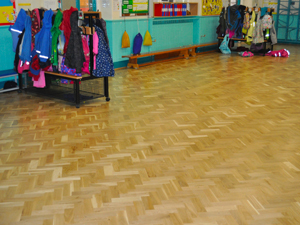 Projects include Ashton Court Mansion House, St Bernadettes School, Ashley Down School, Bristol University, Bishop Road School, Wookey House, Bristol Museum and Art Gallery plus many more…..
No wood floor sanding project is too big or too small. Our team of time-served employed wood flooring and floor sanding craftsmen are at hand to ensure that the works are completed to the highest standard. We use floor sanding equipment and dust-free vacuum extraction equipment from Bona and offer seals from Bona, Osmo, and all leading manufacturers. Using Bona Prime, Bona Traffic HD, and Bona Mega lacquers. We also offer a comprehensive court marking service. N&S Flooring take care to sand your hardwood floor with the utmost of care, carefully removing old finishes and contamination back to clean wood, and gradually working through from coarse to fine sandpaper giving the perfect base ready for new Oiled or Lacquered finishes. Looking for a fresh new colour or effect? 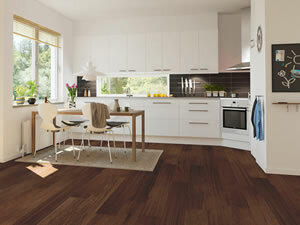 such as limed oak, stained oak, or grey? just let us know we can discuss your colour options giving you the perfect floor to compliment your interior design scheme. Give N&S Flooring a Call Today! to Book your Free No Obligation Survey & Quotation, or call our friendly team on 01179661541 and we are happy to give you guide costs over the phone.